Sing With Megan Nicole & Win A Personal Chat With Her — Details Here! Like to sing? Love Megan Nicole and her new album Escape? How about winning something? If you love all three then you’re a shoe-in for this new contest! Megan Nicole wants all her “Meganizers” to re-create a video for the hit single “Electrified”! 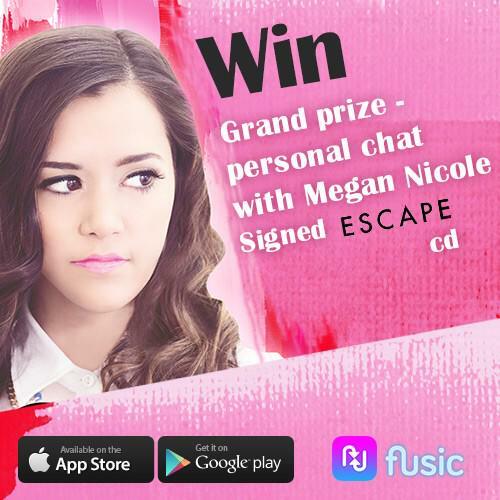 The winning video will get the grand prize of a personal chat with Megan along with an autographed Escape CD! So make sure you go HERE to create your video! Good luck to all those who enter! Charli XCX Will Be Chatting It Up With Saturday Night Online! Whatever you need to ask, Charli XCX wants to answer! Next Saturday, October 18th, Charli will be sitting down to answer your questions with Saturday Night Online’s Romeo! To send in your questions for her “Break The Rules” Ask Anything Chat, just click HERE! Then, head to SaturdayNightOnline.com at 8 p.m. EST to see if your question gets answered! Join Up With Skye Stevens In His Weekly Chat TODAY! It’s Sunday which means it’s the day of Skye Stevens weekly chat. 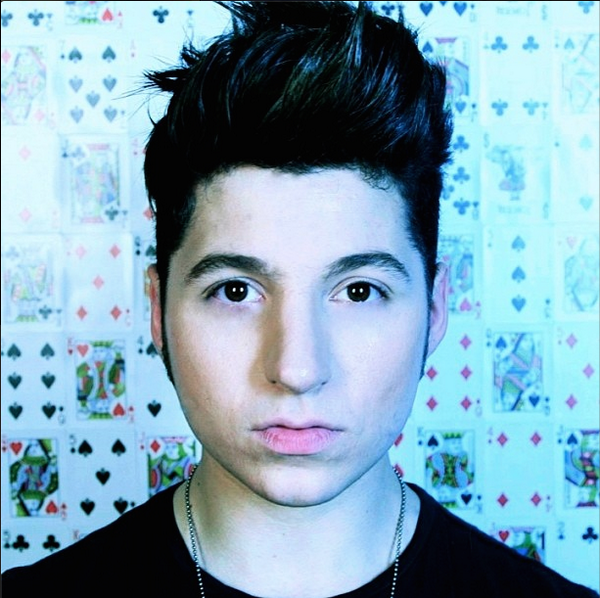 Make sure you follow him on Twitter and use #SundayWithSkye to get your burning questions in. Perhaps yours will be answered today. Peyton List Will Be Live Chatting With ‘Girls’ Life’ Magazine Tomorrow – Details Here! Disney Channel star from Disney’s Jessie, Peyton List, is the recent cover girl for Girls’ Life Magazine on their October/November 2014 issue. Tomorrow (September 18), Peyton will be live chatting with her fans via the Facebook account for Girls’ Life Magazine. The live chat will begin at 6 PM EST. Every girl who joins the live chat party will automatically be entered to win a signed copy of the issue. For more info regarding the chat, be sure to click on the link above that Peyton shared. Demi Lovato Has A Google Hangout This Tuesday! – Details Here! Demi Lovato has some super exciting news for her fans tomorrow, and you can hear them first thanks to Google! Demi will be having a Google Hangout this Tuesday, September 9th at 7pm EST. Demi says, “There’s so much going on and I have SO MUCH to tell u…” We can’t wait to hear more!! Be sure to go HERE for the upcoming video chat with Demi in just a few days! Have your questions in mind, and get ready for some fantastic surprises! Are you exciting yet? We sure are! Nick Jonas Explains Why He Chose “Jealous” As His 1st Single Off The Album! – Video Here! Nick Jonas has announced that the song “Jealous” will be his 1st official single from his upcoming album ‘Chains‘ which is set to be released on November 11th. “Jealous” drops September 8th. So why did Nick chose the song as the head single? 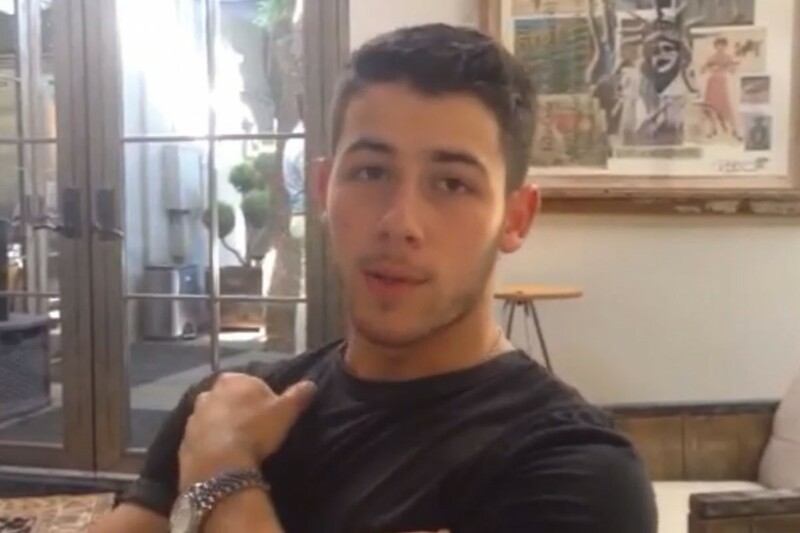 Nick says that the song is upbeat and fun, as well as person. He also think that is showcases his voice well. Listen to Nick talk more about this song HERE! Nick will be in-studio live with Ryan Seacrest from the broadcast inside the Macy’s window at New York City’s Herald Square. Be sure to send in your questions for Nick on Twitter at the hashtag #NickOnSeacrest before Monday morning, and you might have your burning questions answered by Nick himself! Demi Lovato To Host Live Nation Facebook Q&A TODAY! – Details Here! Breaking news for all Demi Lovato fans! Demi will be hosting a special Live Nation Facebook Q&A TODAY (Sept. 4th) at 7:30pm ET/ 4:30pm PT! Be sure to go HERE to ask Demi all of your burning questions about her new music, upcoming tour with Christina Perri and MKTO, and more! 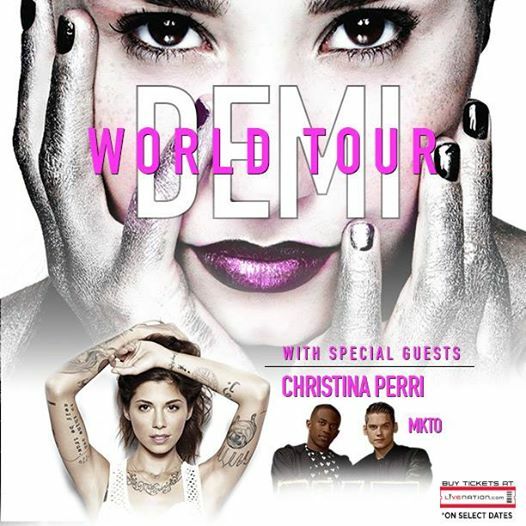 Be sure to hashtag #DEMIWORLDTOUR to join in! Happy chatting! Alex Angelo’s New Single “Move Like This” Finally Released! Today seems to be an awesome day for Alex Angelo as his newest single, “Move Like This” has been released to the public! You know you wanna get “Move Like This”, so click here to head to iTunes and get yours now! Also, make sure you tune into Radio Disney at 3 p.m. EST/12 p.m. PST as Alex will be answering any questions you send in to him! Are you excited about today? We are, too! If you could ask Alex anything, what would it be? Let us know in the comments below! Austin Mahone Takes Over Claire’s Twitter TODAY! Austin Mahone is taking over the Claire’s stores’ Twitter today beginning at 4 p.m. EST/1 p.m. PST! 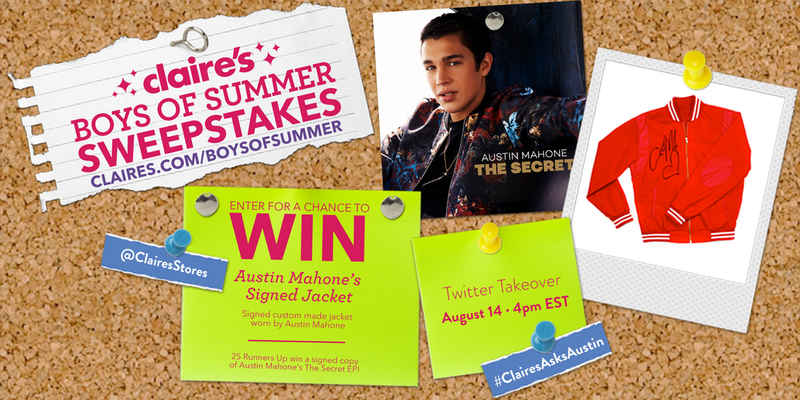 To get your questions in, use #ClairesAskAustin on Twitter and follow Claire’s on Twitter! And remember, Mahomies, if you have some time, enter Claire’s Boys of Summer Sweepstakes to win a sweet jacket signed by Austin Mahone himself! 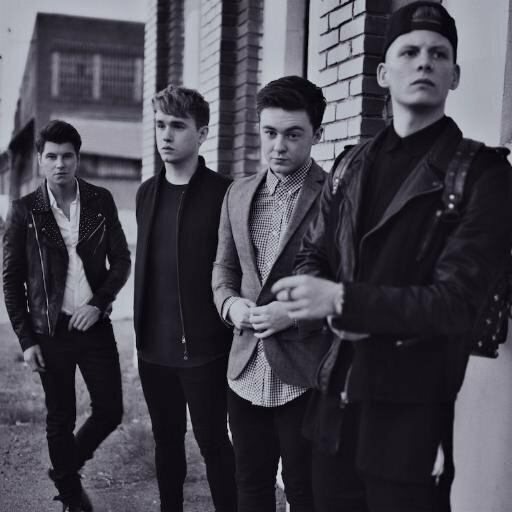 Send In Your Questions For Rixton’s Upcoming “Ask Anything” Chat! Rixton is set to hold an “Ask Anything” chat with DJ Tim Romeo in NY on August 16th at 9pm. Be sure to send in your questions for the band HERE! Here’s your chance to ask the Rixton boys your burning questions of their music, tour, and more! We can’t wait to hear what they have to say! If you could ask Rixton anything what would it be? Share your excitement in the comment box below, and don’t forget to tune in to Saturday Night Online 8/16!